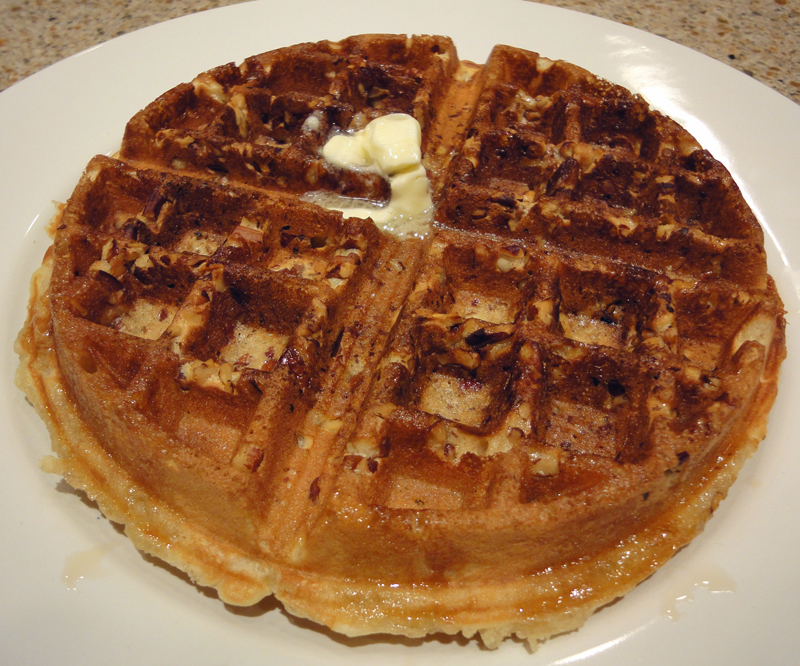 This is a copycat recipe for the Waffle House Restaurant’s famous pecan waffles. Delicious! Preheat waffle iron and brush with melted butter, if needed. Ladle approximately 1/2 cup batter onto waffle iron. Sprinkle 2 tablespoons pecans on waffle; close lid and cook until golden brown. Note: To toast pecans, spread on a baking sheet and bake 350 degrees for 5 to 7 minutes, until lightly toasted. Or you can put them in a non-stick skillet on low heat until lightly toasted. Keep an eye on them so they don’t burn. They are usually ready when you begin to smell them.